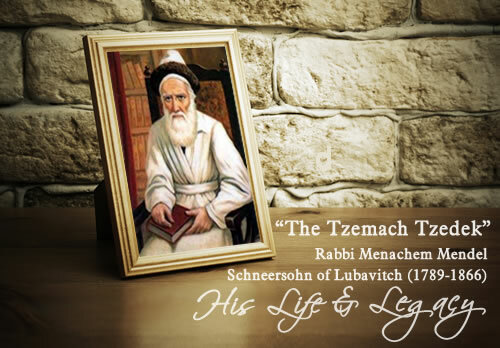 Rabbi Menachem Mendel of Lubavitch (1789-1866), known as the "Tzemach Tzedek," was the third Rebbe of Chabad. An outstanding Torah scholar and prolific writer, he fostered warm relations with other Torah giants of his time, and produced authoritative responsa on many areas of Jewish law. His contribution to Chassidic thought was marked by innovative contextualization and synthesis, and the melodies he composed span the spectrum of human emotion and experience. During his leadership, Chabad flourished, swelling to hundreds of thousands of chassidim.